This service requires you to dial a local landline number, that means you may also pay your phone provider local charges. 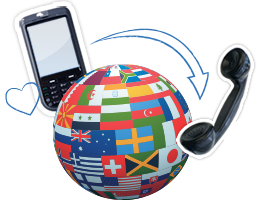 If you get free landline calls you only pay our cheap international rates. All Localphone call methods can be used to make calls within your Subscription. This includes Local Numbers, VoIP, calls from our mobile and desktop applications and our Dial Online and Call Back services (outgoing calls only). Minutes are valid for one calendar month. Unused minutes expire at the end of term. Minutes exceeding your Subscription allowance will be charged at our low calling rates. When your initial subscription term expires, we automatically renew your subscription each month at the rate you were previously charged, unless you choose a different subscription package or cancel your subscription prior to this date. SMS not included in Subscription unless specified. Special services, Premium and Non-Geographical numbers are not included. For more information view our Frequently Asked Questions.